Local officials are pushing back against the state of California. The Escondido City Council voted 4-1 on Wednesday to support a federal government lawsuit which takes aim at California’s sanctuary state protections. Escondido City, along with Councilman John Masson, introduced the resolution during the April 4 City Council meeting. The council said the city was not joining the controversial litigation as an active participant and plans to file two amicus briefs before the April 6 deadline. The U.S. Department of Justice filed the civil suit on March 6 naming the state, Gov. Jerry Brown and Attorney General Xavier Becerra as defendants. At the core of the debate is California’s Senate Bill 54, which solidifies the state’s position as a sanctuary state. 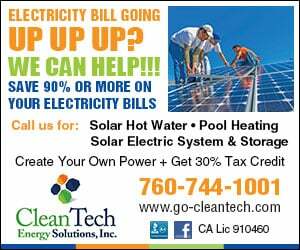 The bill was introduced by Senate leader Kevin de León on opening day of the 2017 legislative session and signed in to law by the governor in October. The bill is currently being challenged by President Donald Trump’s administration on constitutional grounds. 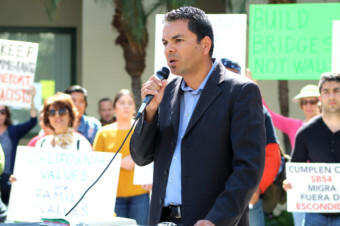 For his part, Masson affirmed that the issue was a matter of public safety and fighting back against overreach from Sacramento, adding that local police are prohibited from assisting and dealing with illegal criminals in the city and its relationship with ICE has disappeared. Masson went on to chide those who threw accusations of racism and discrimination. Councilwoman Olga Diaz was the lone dissenting voice on the council. Pedro Rios, director of the American Friends Service Committee, along with several other pro-immigration supporters, spoke about Trump’s action and rhetoric toward illegal immigrants. Rios said the mayor and the other council members in support do not reflect values of the people of Escondido. Rios added that Mayor Abed is out of touch and merely following Trump’s fear-based agenda. 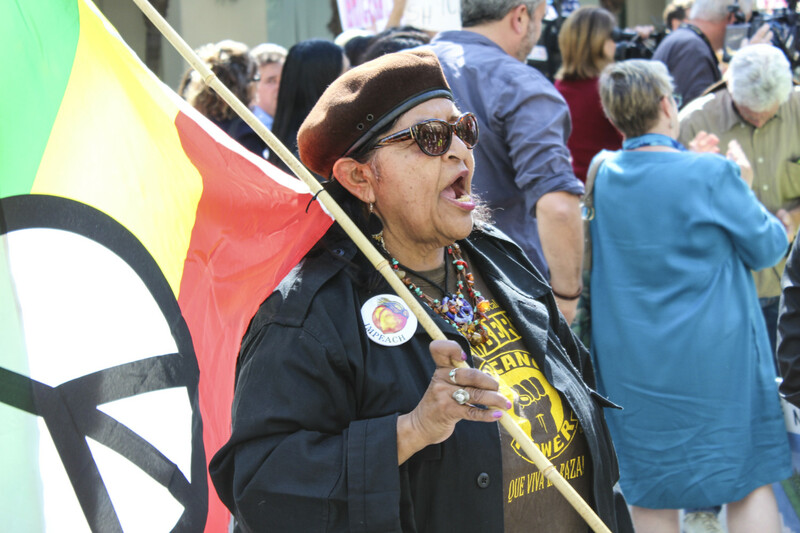 Lilian Serrano, chairwoman of the San Diego Immigrant Rights Consortium, said the state has already won, taking a jab at Abed and the council. Still, Serrano called the council’s efforts xenophobic, and rebuked those who support mass deportation of illegal immigrants. “They are still human beings and they deserve to live with dignity,” Serrano said. 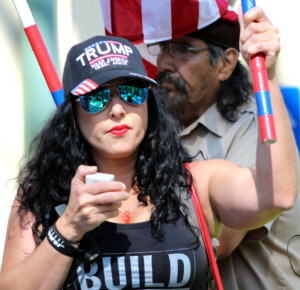 Trump supporter and Patriot Movement AZ member Jennifer Harrison arrived from Phoenix, Arizona, to voice her support of deporting illegal immigrants. Harrison also brushed off being called a racist. Cities across California are starting to address the issue of immigration and SB 54. Huntington Beach recently voted to sue the state and Los Alamitos voted to exempt itself from the law. San Diego County is considering taking similar action and will discuss the issues during a closed session in the coming weeks.